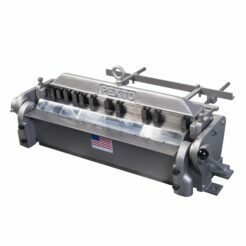 The PX24 light duty bending brake is for light forming requirements (up to 16 gauge mild steel). When used within their rated capacity, they will form a minimum 1/2″ flange over their entire length. Maximum Rated Capacity: 16 gauge mild steel. The PX24 Box and Pan Brakes adjustable back gauge are ideal for small, precise box and pan work (up to 3″ deep). It will accommodate sheet metal up to 16 gauge. The PX24 will bend as much as a 135? angle in up to a 24-inch length. Standard fingers provided include one each 3/4″, 1″, 1 1/4″, 1 1/2″, 3″, 4 1/2″, and 6″. 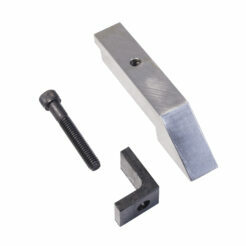 Fingers are heat-treated die steel, precision ground. Set of fingers can be arranged to form 3/4: to 24″ in 1/4″ increments. Back gauge adjustment is from 0-24″. Adjustable friction brake lock stops upper bar dead-weight drop and permits precise positioning of upper bar to scribed line on work piece before final clamping. The pan brakes have optional special fingers to adapt them to inside mitered lip boxes, 9″ long square tubes and radius bends up to 1″. The floor mount stand shown must be ordered as a separate item. Minimum 1/4″ (PX24) reverse bends are possible with these light duty brakes by removing both the apron angle iron work support and apron filler plate and reducing the capacity by four gauges. Connecticut bench mounted hand brakes are rugged, dependable USA-made tools. 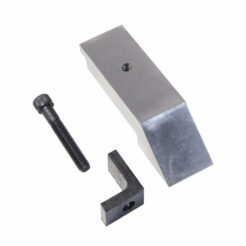 The model U416 is a heavy duty bench brake suitable for box and pan or straight bend- ing in up to 16-gauge mild steel. The brake features a removable apron angle and apron insert permitting 1?4-inch reverse bends in lighter materials. The front to rear adjust- ment of the U416 allows for a wide range of radius bending. Standard equipment includes: an apron stop rod for repeat bends, extension handles and counterweight to help reduce fatigue when using the brake. 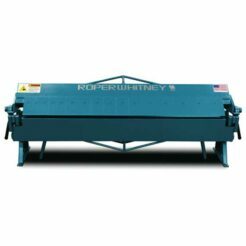 Connecticut bench-mounted hand brakes provide an economical means of performing a wide range of sheet metal bending and forming operations. These brakes are of all- steel welded construction, readily adjustable and backed by an industry leading 3-Year Factory Warranty. Connecticut bench mounted hand brakes are rugged, dependable USA-made tools. The model U422 is a heavy duty bench brake suitable for box and pan or straight bending up to 22-gauge mild steel. The brake features a removable apron angle and apron insert permitting 1/4-inch reverse bends in lighter materials. The front to rear adjust- ment of the U422 allows for a wide range of radius bending. Standard equipment includes: an apron stop rod for repeat bends, extension handles and counterweight to help reduce fatigue when using the brake. The lighter weight makes this model better suited for transporting to remote job sites. Connecticut bench-mounted hand brakes provide an economical means of performing a wide range of sheet metal bending and forming operations. These brakes are of all- steel welded construction, readily adjustable and backed by an industry leading 3-Year Factory Warranty.